BOCA RATON, FL – – Allianz Championship, the annual PGA Champions Tour event that will soon tee off for its seventh consecutive year in Boca Raton, announced today the economic impact results and “green” initiative achievements by its 2012 event and dates for its 2013 tournament. As the first full-field tournament on the PGA Champions Tour, tens of thousands come out to enjoy the celebrated week of “up close and personal” interactive pre-tournament events and championship rounds that benefit Boca Raton Regional Hospital. New PGA Champions Tour history-making messaging: “It All Starts In Boca” referencing that the previous two Allianz Championship champions went on to win the yearlong pursuit for the Charles Schwab Cup. This year’s winner will be announced in November 2012 and presented the award at the Charles Schwab Cup Championship, to be held at the Desert Mountain Club in Scottsdale, Arizona. Regarding the ambitious on-course Green initiative Allianz Championship launched as part of its 2012 operations planning, Dillon reported that the Allianz Championship is now officially “one the greenest golf tournaments” on the PGA Champions Tour. Retaining the Smart Group, an organization of ecologists, scientists, educators, and academic researchers who help clients make sound decisions about environmental management, and working in collaboration with partners Broken Sound Club, Southern Waste Systems and the International Green Energy Council, the tournament developed a comprehensive carbon footprint analysis to set green benchmarks. The plan included the education of spectators, players and vendors about the benefits of going green in their daily business and personal spaces. Tournament staff used recycled products throughout the year, from business cards, tournament programs, plates, cups and utensils to plastic, PVC tournament signage and more. To engage, benefit and promote the Greater Boca Raton community, area businesses and lifestyle, the Allianz Championship is directed by the nonprofit Boca Raton Champions Golf Charities (BRCGC) board that serves as the operational and financial oversight group for the annual Boca Raton event as well as the oversight group for the distribution of all charitable funds. The Allianz Championship tournament is managed by Pro Links Sports, headquartered in Minneapolis, MN. Directing five tournaments on the Champions Tour schedule, all are continuously voted in the top ten tournaments by the players. This reputation attracts the top golfers on the PGA Championship Tour to Boca Raton, along with other legends of golf, all while driving charity and community engagement. 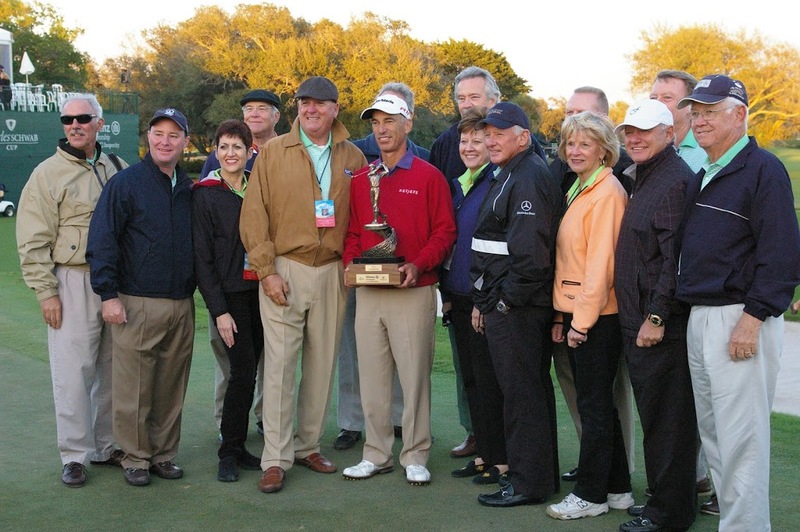 According to Dillon, the 2013 Allianz Championship will hit the links to benefit Boca Raton Regional Hospital at The Old Course at Broken Sound for the seventh consecutive year from February 4-10, 2013. 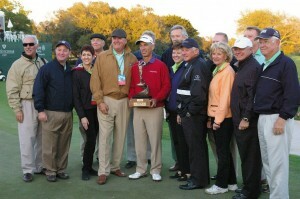 For more tournament information, sponsorship opportunities, Pro-Am registration, general admission, premium ticket packages, skybox seating and event tickets, call 561-241-GOLF (4653); fax 561-241-4658, or visit www.allianzchampionship.com. For Pro-Am registration and sponsorship package opportunities, contact Anthony Greco at 561-241-GOLF (4653) or email agreco@allianzchampionship.com.